We, the undersigned civil society groups, are greatly disappointed by the “open verdict” delivered by Magistrate Azmil Muntapha who chaired the Teoh Beng Hock Inquest. We demand Prime Minister Najib Razak to immediately work on establishing a Royal Commission of Inquiry to unearth the whole truth of the late Teoh Beng Hock’s mysterious and torturous death. The Coroner had made a remarkable finding of Teoh suffering from pre-fall injuries yet decided that there was not enough evidence to conclude the injuries contributed directly to death. This open verdict is however not unexpected given the lukewarm attitude of the police throughout the investigation and inquest. The Investigating Officer had conveniently overlooked the contradictions and flaws in the testimonies by the MACC officers, emergence of the mysterious note, the wounds on Teoh’s body and often failed to answer questions by Teoh family’s counsel, Gorbind Singh Deo. As a matter of fact, the Attorney General Chamber has the power to demand reinvestigation in the event of incomplete or incompetent investigation work, but this powerful institution has chosen to accept the Investigating Officer’s superficial and unprofessional report. The investigation was then further impeded by MACC’s pathetic attempts to prevent Thai forensic pathologist Dr Pornthip Rojanasunand from testifying in the inquest. 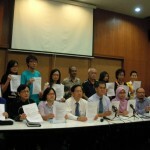 The failure to unearth the truth of Teoh’s torturous passing is a failure of the entire Malaysian state. Instead of pursuing justice, the Police force and the AG Chamber have instead failed miserably in upholding their own integrity, seemingly covering up for the Malaysian Anti-Corruption Commission (MACC) to please the political master. The Magistrate’s open verdict based on such compromised and incomplete investigation has greatly let down the Malaysian public. The Inquest is now a testimony of failure for PM Najib Razak who promised the Teoh family a thorough investigation to deliver truth and justice. We call upon Najib Razak to acknowledge the flaws and inadequacy of the Inquest and immediately work on establishing a Royal Commission of Inquiry. The investigation of Teoh’s torturous death must not end with the flawed Inquest, but instead continue until all the culprits are brought to the book. The term of reference for the RCI must not only cover the investigation of Teoh’s torturous death, but also a thorough study of the modus operandi of MACC. Those who instructed for Teoh, who was called only as a witness, to undergo torturous non-stop interrogation of 11 hours must assume their political, administrative and criminal responsibility. Half a year before Teoh Beng Hock, MACC faced accusation of physical torture by Halimi Kamaruzaman a UMNO politician from Maranm Pahang just before Teoh’s torturous death. A year and a half after Beng Hock, former Sime Darby senior manager Mazhazmi Jamaludiny claimed to have been tortured by MACC. As long as Teoh’s torturous death is still classified as open verdict, MACC as an institution can never clear its name of causing Teoh’s torturous death in the court of public opinion. We wish to remind the public that Teoh’s death is the first political death under PM Najib. And it happened on the fourth month he assumed office against the background of BN’s plot to topple the Selangor State Government, which involves selective investigation by MACC. 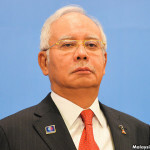 PM Najib must therefore assume the greatest share of responsibility of Teoh’s death. Insofar the truth is not unearthed and the culprits not punished, the Najib Administration will be forever haunted by Teoh’s mysterious and torturous death. We applaud the Selangor State Government’s announcement to commit RM100,000 for advocacy against torture and custodial death. We urge the Najib Administration to show its commitment to reform the state institutions and build a torture-free society with the establishment of a Royal Commission of Inquiry on Teoh’s death and thorough reforms of the police, the AG Chamber and the MACC. Debate with Mat Sabu, not prosecute him!